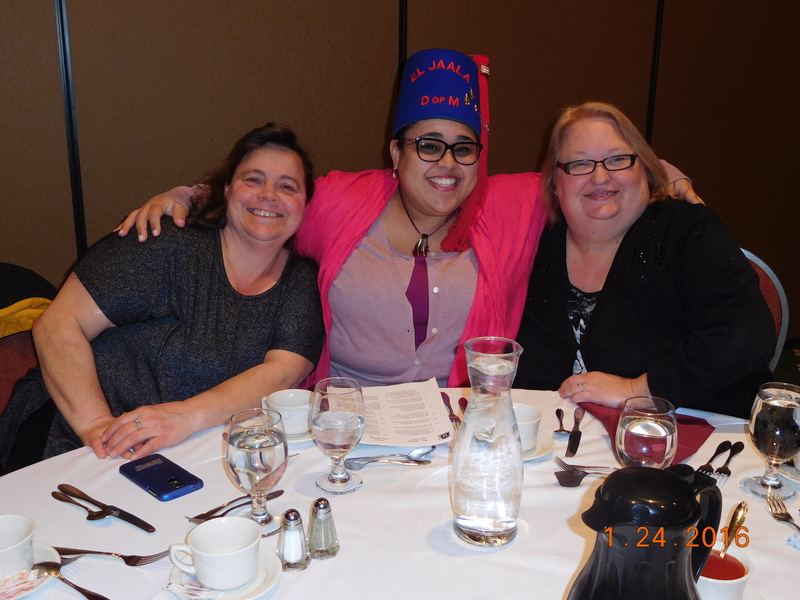 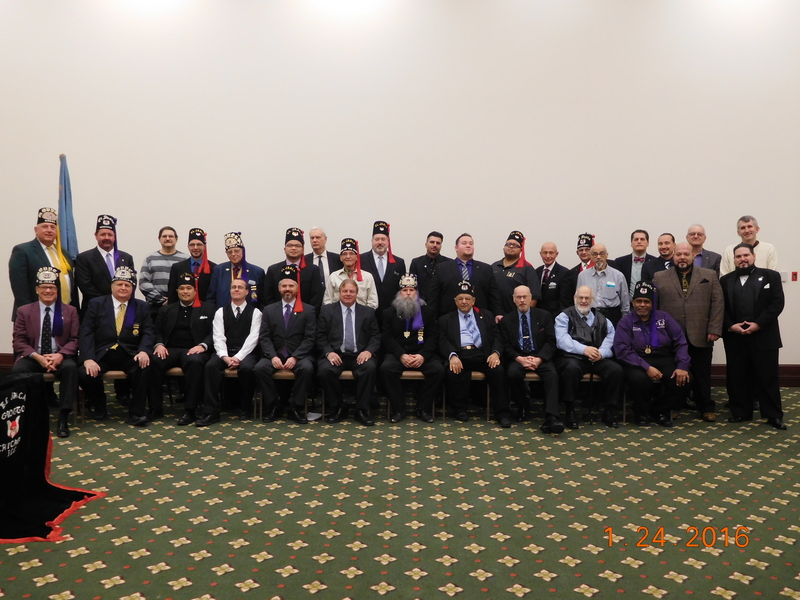 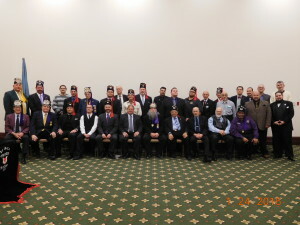 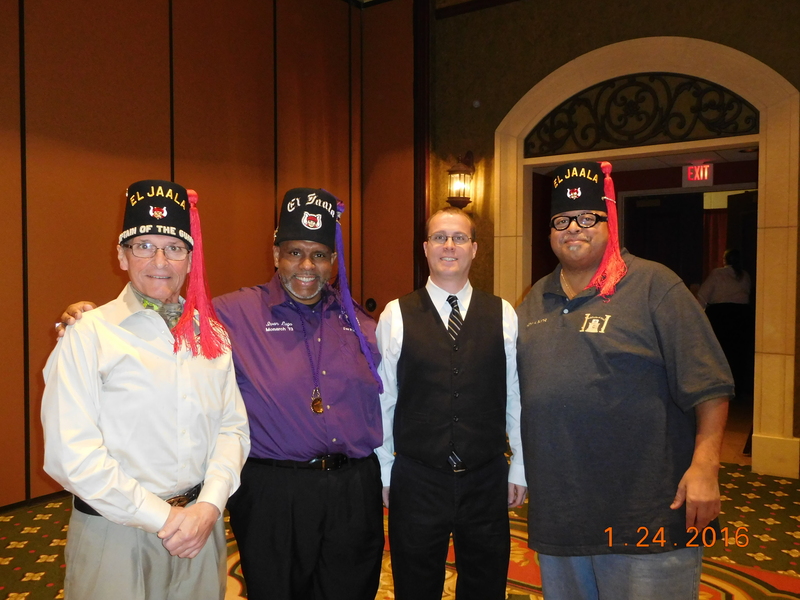 On Sunday Jan 24th the members of EL JAALA GROTTO held their 69th Annual Installation of Officers at Medinah Temple. 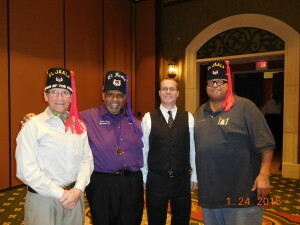 It was a bitter sweet occasion our Monarch elect Bro Richard Aka Pineapple was recovering from a serious car accident in the hospital so he was not able to attend, but the show must go on & the rest of the officers & lady’s & guest enjoyed a great ceremony & a great dinner. 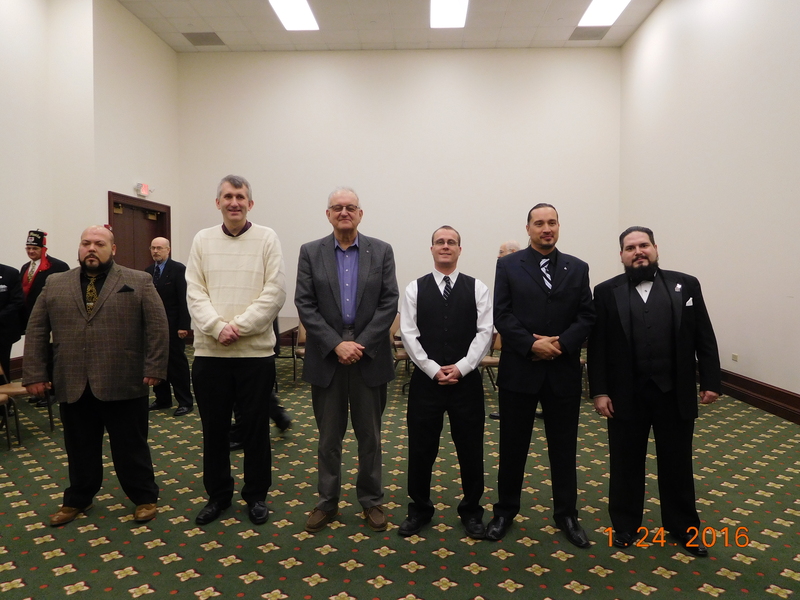 We were once again proud to have Past Grand Monarch David Rebmann conduct the installation of officers. 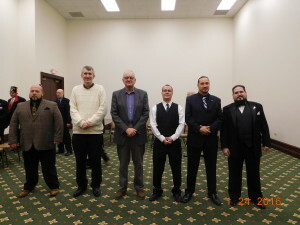 We were also proud to initiate 6 new prophets into the enchanted realm.